With companies like Amazon, Uber and Netflix changing the consumer experience, talent acquisition teams must keep pace with evolving expectations for the candidate experience. Talent Acquisition teams are now expected to be marketing and branding experts, but may have little insight (or input!) into the creation of their career site – leading to a gap between branding and candidate experience. So what do candidates value when searching for jobs on your career site? The answers may surprise you! 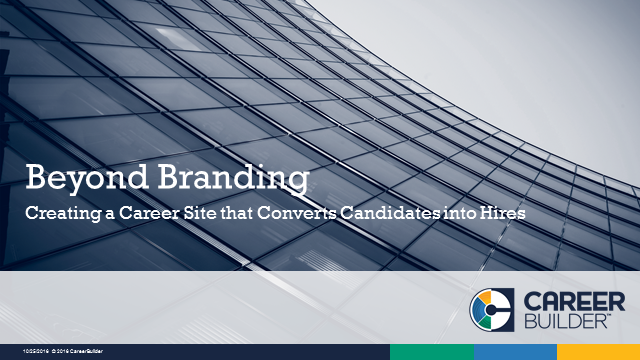 Leveraging over two decades of candidate research, join us as we share what new expectations candidates have for your career site and how you can optimize your site to convert more candidates into hires.